In series two, we meet Lokesh – Charlotte’s cousin. He is just as adventurous as Elliot and loves a visit to see his Great Aunt Lizzie. Join him on his adventures to ancient worlds where he meets brave Vikings and explores the vast Mayan jungles. 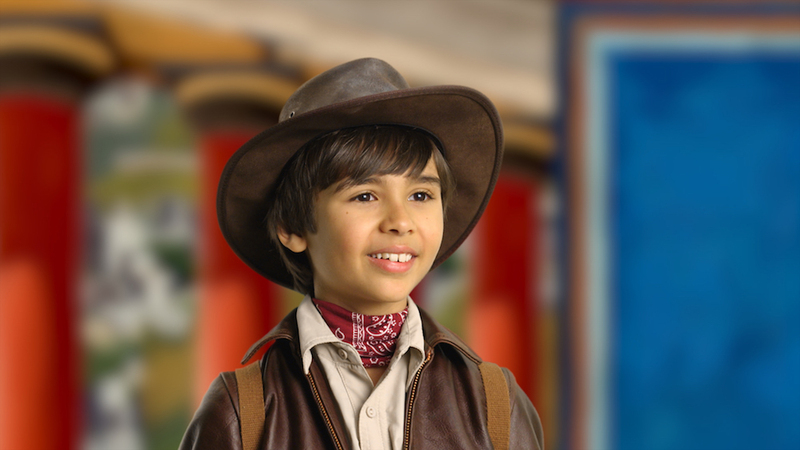 Lokesh’s first adventure “Comedy Mask” airs 29th November on CBeebies at 5.35pm. In this episode Lokesh meets Alexis, a mask maker who has made a special gift for his hero, the great comedy actor Gregorious. But Alexis is far too busy to deliver it before tonight’s performance so Lokesh sets off to a magnificent theatre in the hills to find Gregorius, and present the gift on behalf of the mask maker. “Get to know Lokesh” by following the link below!